Mathematically, the human body (with two feet) is capable of only 5 basic jumps. Knowing this is helpful for more than just scoring well in trivia games. It helps you to quickly break down or analyze any new jump skill that gets thrown your way. Let’s take a closer look at each type of jump. Yes, to dance educators, there is a difference between a jump and a hop. Hopping happens on one foot. Some hops can be deceiving — the step may begin with a brush of one leg but when the take-off happens, that leg is already in the air, meaning the take-off is from a single foot. 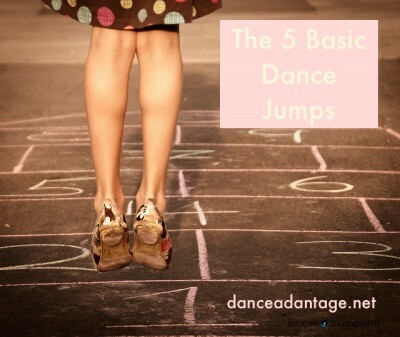 Though we might think primarily of grand jeté or saut de chat when we talk about leaps in dance class, there are many, many types of jumps that transition from one foot to the other. Smaller leaps could be described as a bound or an exaggerated run. These final two jumps are a little less common in everyday movement. They are often the hardest for beginning dance students to execute in combinations because of their unique transfer of weight. A simple sissonne in ballet is a small jump, usually from fifth position (two feet), that lands on one leg with the other in sur le cou-de-pied. Typically we think of the larger, scissor-like sissonne which either land open (ouvert) or closed (fermé). Faille is another two-to-one ballet step. In more contemporary dance forms this basic jump can be executed in all kinds of ways. An unusual example of sissonne-like jumping is half of what I call a hopscotch — jumping from second position plié to a single leg beneath you. In fact, when students are struggling with sissonne, I’ll have them try the more familiar hopscotch to remind them what two-to-one feels like. The other half of a hopscotch is a jump from one foot to two. In choreography, dancers might land a one-to-twojump in an open position. 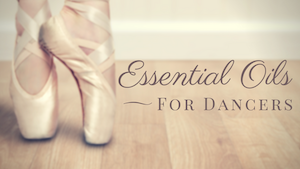 In dance class you’ll typically do this jump as an assemblé — the legs come together in the air. Like sissonne, assemblé can be small or huge. Assemblé might also also turn in the air and could be done in parallel rather than with the legs turned out. Jump, hop, and leap are each one of the 8 basic human locomotor movements (some say there are 7 or even more than 8). Can you name the others? Now that you know all five jumps, what are your favorite jumps and leaps? Thank you for this blog. It was very helpful when assisting my children with their jetés.